Business cards are one of the key introductory tools at events. The problem is you return from an event with a stack of cards and can’t remember much about the people you met. 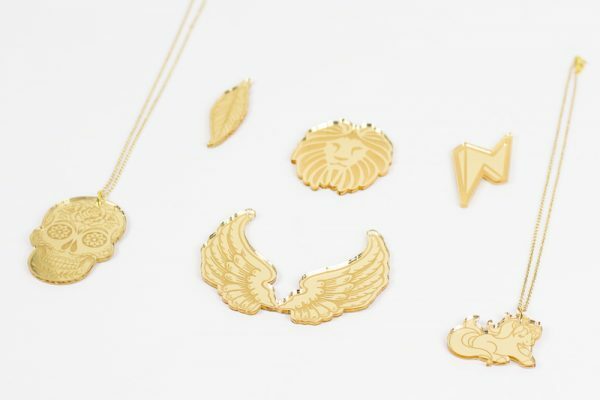 But what if you could make your business cards take flight? Now that would be memorable. 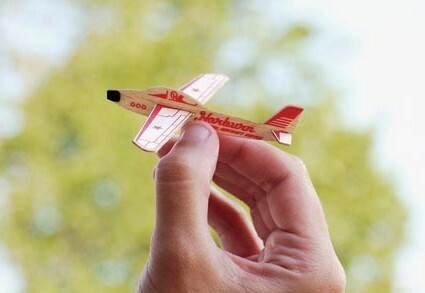 If you met the folks at Norburn Model Aircraft Supply, you’d definitely remember that they specialize in model and radio controlled planes and helicopters because their business card showcases exactly what they do. 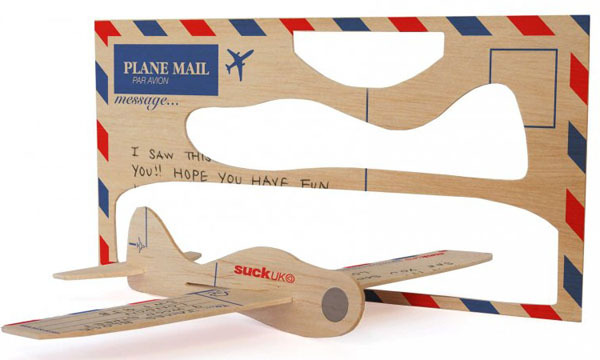 The laser die cut balsa wood glider set was designed by Rethink Canada with the company’s logo on the fuselage and contact details on the top of the wing. 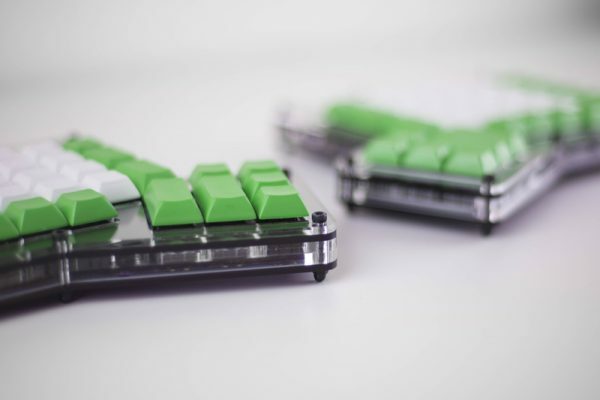 Everything you need to know about making custom name badges & tags. 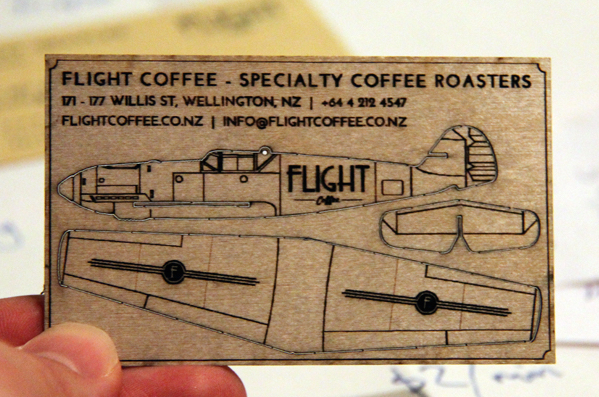 Flight Coffee did its own take on the concept with VIP business cards featuring a model plane laser cut into 0.9mm plywood. While it’s natural for a model aircraft company and a business named Flight to use this concept, you don’t have to be in the airplane industry to take advantage of a glider-themed business card. As long as you have a tie-in to the theme that makes sense, go for it! 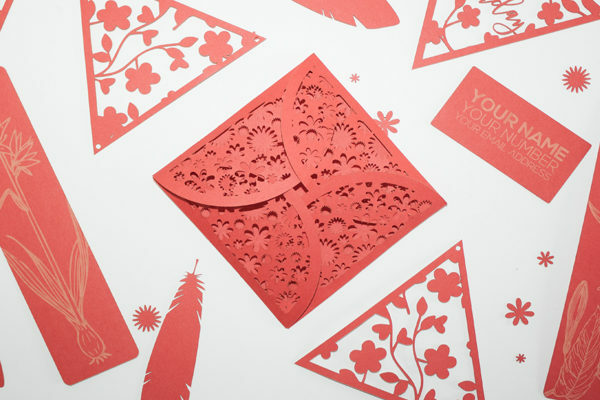 For an even bigger effect, create airplane postcard event invitations that complement your business cards. Design it with the event logo on the fuselage and details on the wings. 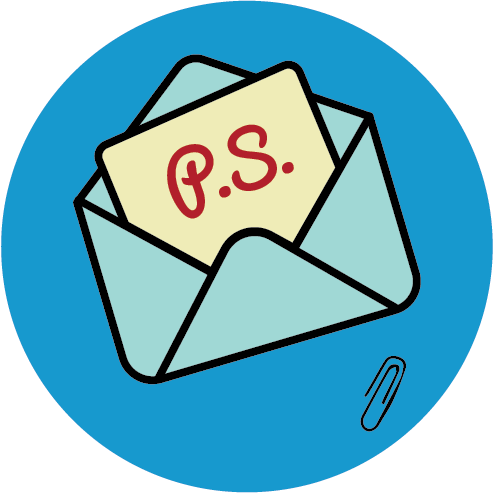 Or turn the postcard into a giveaway during the event and have an area for attendees to fly the airplanes for even more fun. Not only will your event take flight, so will your brand!